Indira Ekadashi 2019 Date – 25th September, Wednesday. Indira Ekadashi 2020 Date – 13th September, Sunday. Indira Ekadashi is one of the auspicious days for Hindus. It falls on Krishna Paksha (the waning phase of moon) Ekadashi, the 11th day of Hindu month Ashwin. As per the Gregorian calendar, this festival falls in September or October. Lord Vishnu is worshipped on Indira Ekadashi. One should offer Tulsi leaves, fruits, and flowers to the Lord at the time of the puja. As Indira Ekadashi falls in Krishna Paksha (Pitru Paksha), it is dedicated to ancestors and it is also called as Ekadashi Shradh. The main objective of this day is to pray to the forefathers or ancestors for deliverance from sin and its consequences. Once as Lord Krishna said to Yudishter Maharaj, a person fasts on this day, he can get rid of all sins and his forefathers who have fallen into hell are liberated. One of the important responsibilities of the family members is to cook food in a pure environment, offer it to Lord Krishna and then offer the Lord’s Prasada to the forefathers. This way if the forefathers get stuck in some hellish conditions. They will get liberated by taking Lord’s Prasada. Rituals start a day prior to the Indira Ekadashi, which means on 10th day i.e, on Dashami. Rise early in the morning, take bath, and then offer puja to God with full faith. Perform the rites of Shradh to the ancestors by offering Pindas. Offer food to the cow. Feed poor people & offer some charity to Brahmins according to your means. 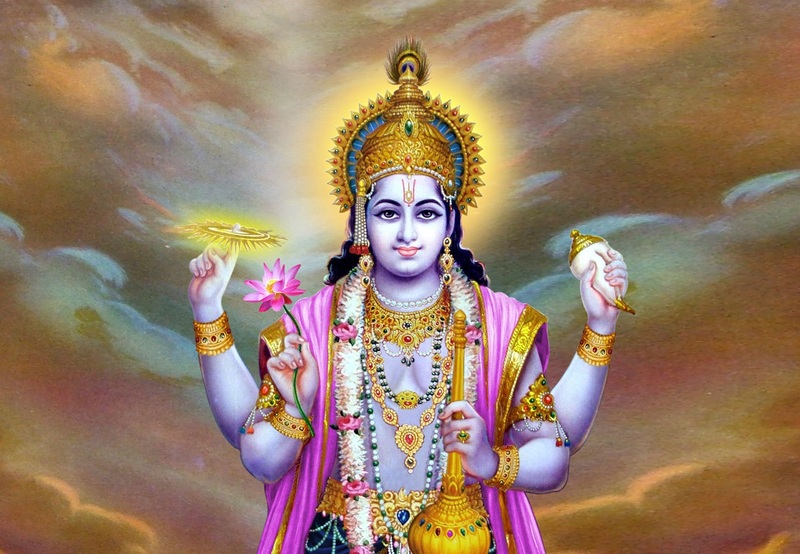 On Ekadashi fasting is observed by reciting Vishnu Sahasranama & Vishnu Mantras.